There are a lot of people that use the WordPress platform for building their website and the reason for this is that it is a simple CMS (content management system.) It comes a with a great deal of support making it much easier for the web owner to be able to build and maintain their site themselves. However, it does require some special hosting in order to get live on the web. A hosting service provider has to be able to support PHP and MYSQL. When you are using a hosting company that can support WordPress, usually, it will mean that the install is really easy and only takes one step to get the WordPress site hosted and live. 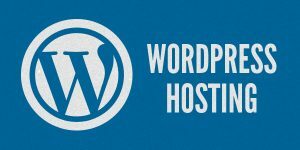 The benefits of WordPress hosting work in conjunction with the ease of use and many options that W ordPress sites possess. Once you are utilizing the services of a web host that provides WordPress hosting you also will probably have the options of choosing the different type of hosting that is available to you. Your WordPress host will usually look after the set up of your site and will offer you different packages within this category. You will find that each package offers a little bit more. For example, a web host may provide you with the opportunity to have one website hosted with a specific amount of storage and a maximum allotment of monthly visitors that it will be able to handle, as well as access to the ask FTP, and in some cases you may even get your domain thrown in for free. Not having to worry about the set up for your WordPress is a big benefit and where the additional benefits are going to come in is on not only the type of packages that you choose but the type of hosting that you are requiring. In most cases shared hosting works well for new start up WordPress sites however, there are larger sites that may want to go for VPS or a dedicated server. While the shared hosting will give you many advantages one of the biggest concerns is the security that comes with shared hosting. What you have to realize is that with shared hosting you are being placed on a server that is also accommodating many other site owners. Where the problem comes in is if these other website owners don’t have the proper security in place for their website it can affect other sites on the server. This is one of the reasons why many will take a step up and go with the Virtual Private Server, however this is a more expensive offering. When you are using a VPS server you are usually allotted a certain percentage of what the resources are that the server possesses. The variations in the different types of hosting isn’t reserved just for WordPress but can be utilized in any type of website. Your main benefit with your WordPress hosting is that the host offers a dedicated service says for WordPress users by having the proper software in place that is needed.